Think about how much digital information your audiences—your customers, employees, partners, fans and followers—create about your brand or organization. Now think about how that number is only going to grow: as new social channels emerge, when younger consumers migrate to new platforms, and as older consumers continue to adapt and adopt more “social” habits. 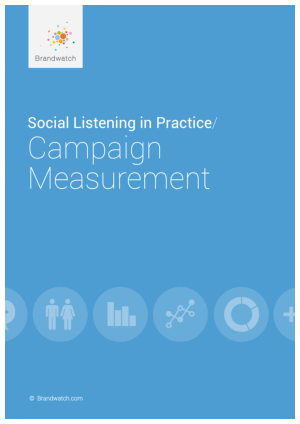 How can you sift through volumes of complex data to tell which element of paid, owned and earned campaign activity is the most effective? Well, with clear objectives and the right tools, data volume and complexity can become less of an issue. Stop drowning and start measuring. Download our guide to learn more.